The minister of information said if the medical expenses of Mr president should be made public, national security might be in jeopardy. 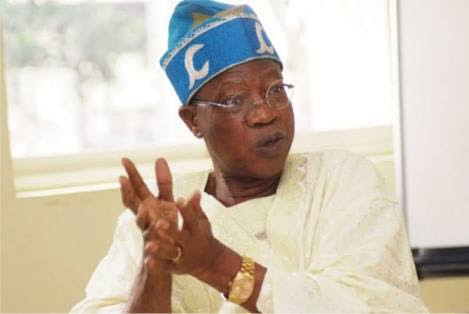 According to Lai, ‘Yes, there is Freedom of Information Act but it is also carved in such a way that when such information is likely to endanger national security, I think it is an area that is not covered.” he said, “This matter has come several times and our position on the matter is quite straight forward," he said on Wednesday in Abuja. "What are the President’s conditions of service? What are his entitlements in terms of his well-being and health care? The state is supposed to take responsibility for these. “We believe that asking for how much has been spent on the health of the President is an issue that we should weigh very well both for national security and also for moral issues. "I don’t know why we must divulge such very sensitive information. I might be wrong but I don’t have experience elsewhere that the President of any country will be ill and be forced to disclose how much the state has spent on his health. The detailed medical expenses of President Buhari can not be revealed to Nigerians because the matter is a sensitive one, the minister concluded.